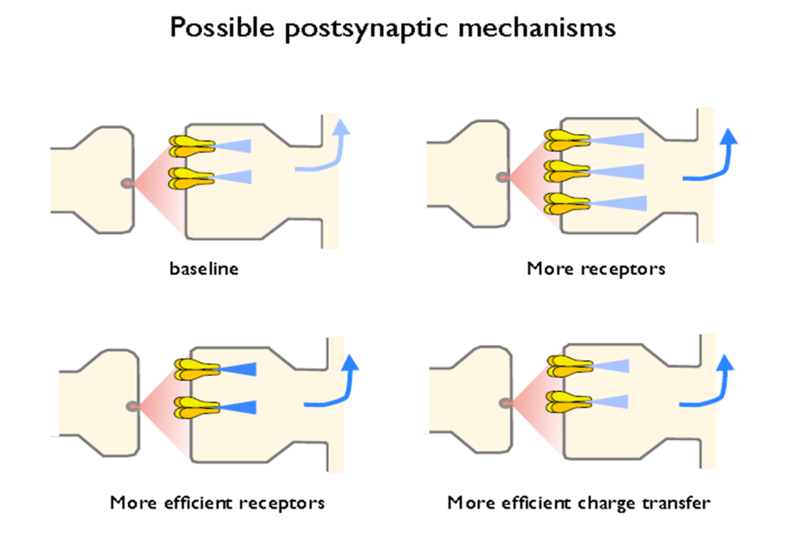 Synaptic plasticity Note on Expression of LTP, created by Cher Bachar on 05/05/2013. 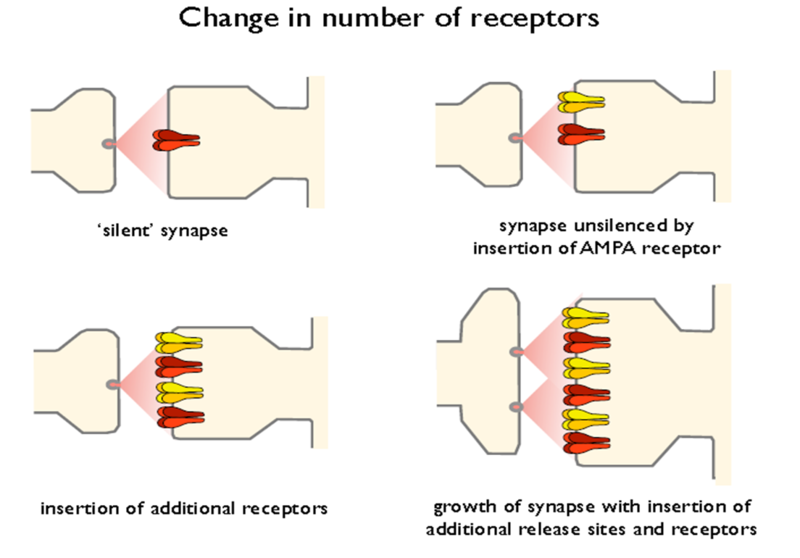 The principal message to emerge from studies investigating the role of kinases in NMDA receptor-dependent LTP is that several kinases are involved but none is obligatory. The situation is complicated by the fact that the kinase cascades underlying LTP change during development. In area CA1 of the adult animal, as we have seen, CaMKII is required for the induction of LTP, and LTP can be induced in the presence of PKA inhibitors. 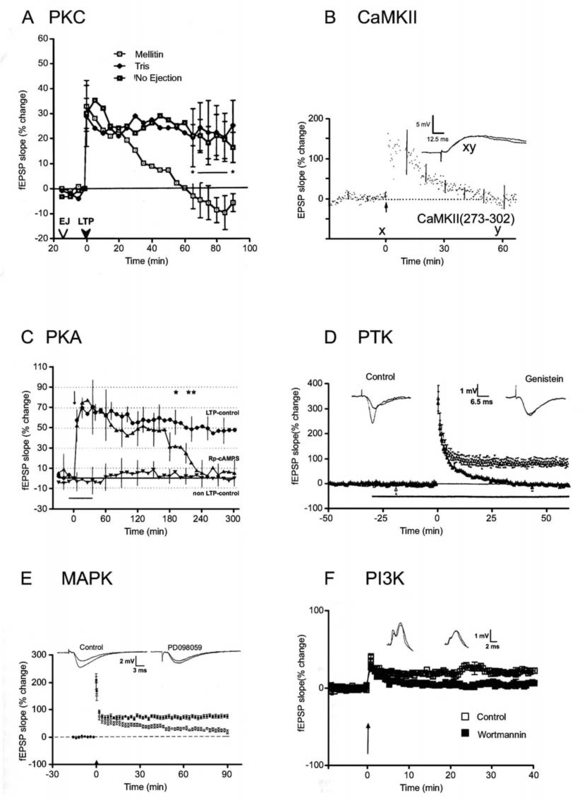 Earlier, at postnatal day 9, the lead role is taken by PKA, as inhibitors of PKA, but not of CaMKII, block induction of LTP (Yasuda et al., 2003; see Fig. 10–21C). The situation is made even more complex by the existence of parallel kinase cascades, as first identified at CA1 synapses in juvenile rats. 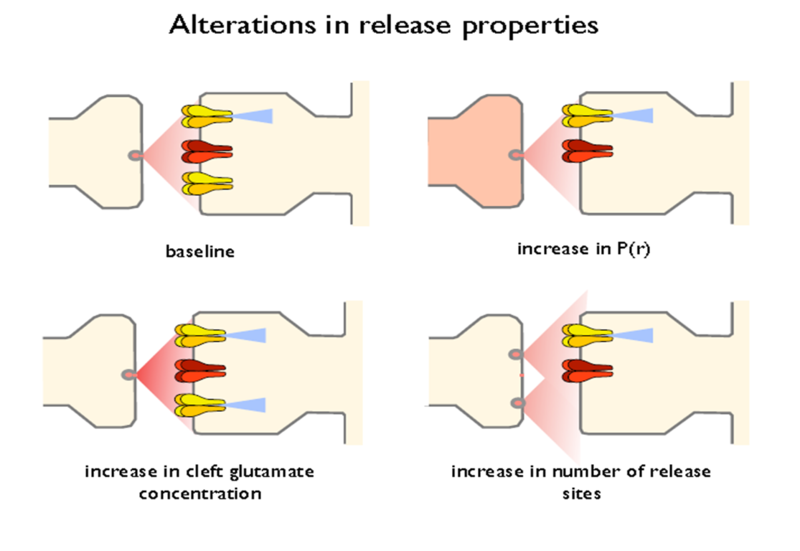 Thus at 2 weeks of age, a combination of inhibitors is required to block the induction of LTP. Inhibitors of CaMKII, PKA, and PKC have no effect on induction when applied alone. Similarly, a PKA inhibitor plus a PKC inhibitor is ineffective. However, a CaMKII inhibitor applied together with either a PKA or a PKC inhibitor fully blocks the induction of LTP (Wikström et al., 2003). This suggests that two parallel kinase pathways, one involving CaMKII and the other involving both PKA and PKC, can each mediate LTP. As the animal matures, CaMKII assumes the dominant role, and PKA and PKC become more modulatory in nature. The involvement of parallel kinase cascades is, however, not simply a developmental issue, since a similar parallel pathway hasbeen observed in the medial perforant path in the dentate gyrus of adult mice (Cooke et al, 2006) and rats (Wu et al., 2006). 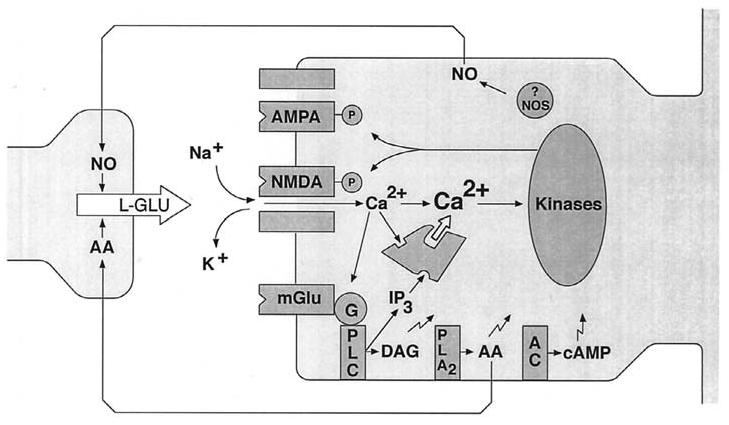 Here we have a pathway that requires activation of CaMKII for one limb and PKA/MAPK for the other. 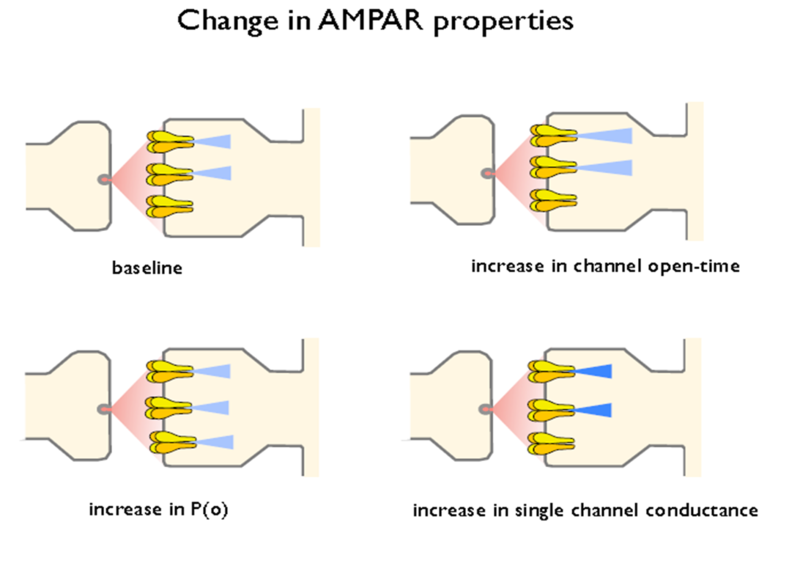 Since both PKA and PKC can lead to activation of MAPK it is possible that in both juvenile CA1 and adult dentate gyrus the same two parallel pathways co-exist, one arm using CaMKII and the other PKA/PKC/MAPK.